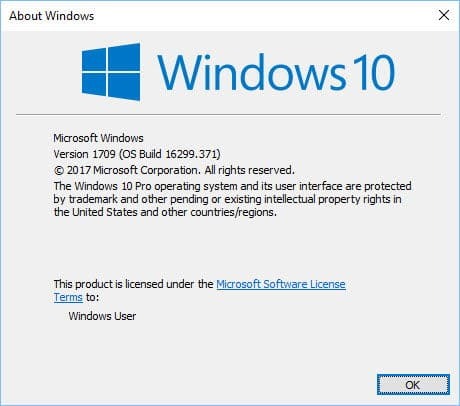 The cumulative update KB4093112 for Windows 10 Version 1709 April 2018 has been released by Microsoft. This takes the build number of Windows 10 to 16299.371. A total of 28 vulnerabilities were patched in this update of which 6 were critical fixes while 22 were rated as important. Let’s go through the changes that have been made in KB4093112 . There are no new features that have been added to Windows 10 in this update. Enterprise Mode redirect issue in Internet Explorer and Microsoft Edge. Issue with Internet Explorer not identifying custom controls. SVG access violation issue when Internet Explorer is being overloaded. Issues with updated time zone information. Issue with user accounts being locaked when moving applications to shared platform using App-V. Please note that you do not need any previous updates to be installed for installing this update. As this is a cumulative update, it will install the previous missing updates for you automatically. Just download it and apply it to your computer. Make sure your Windows version is Windows 10 Version 1709. If you already have the latest version of Windows 10 Version 1709 and want to install just the latest update, then you can download the delta update which will save some bandwidth but only install the last update. If any updates are missing, you will need to install them before installing this update.